Teaching kids about God is fun, but sometimes we wonder if they really understand His love and how to love Him back. 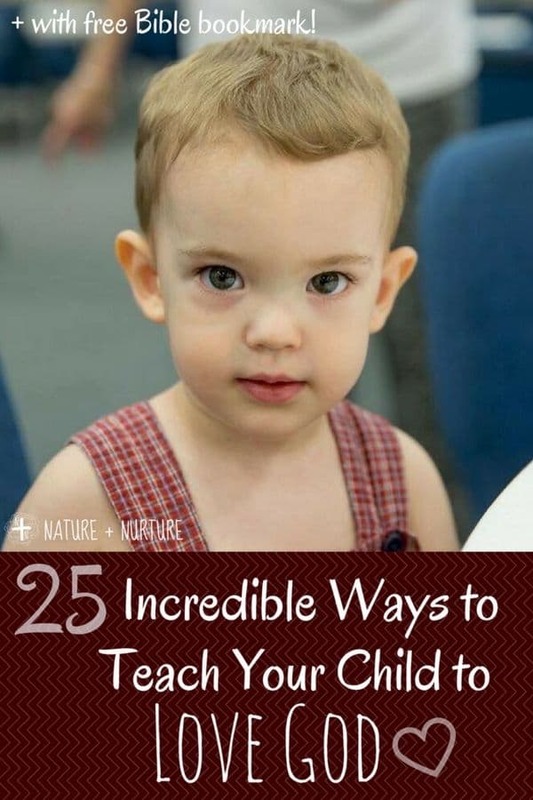 In this post, learn how to teach your child to love God in 25 different everyday ways and help you on your journey toward raising Christian kids. In some cases, parents do everything possible to “train up their child” – yet, the child chooses to walk away from the Lord. But, if you have “trained them up” in Him, you can rest assured that they will ALWAYS know the way back home. That’s why we want to set our children up for success spiritually. It’s easy to spend time developing a “game plan” to give our children the best opportunities in education and developing their talents. But what about a spiritual success game plan? It’s even more important! Introducing your child to God is a huge task, but if you make it a way of life, it’s much easier to tackle. It’s the same prayer every single time I come before His throne. Lord, please let them love you. Let them love you more than anything or anyone else on earth. If nothing else goes right in their lives, please let them have this one thing. More than happiness, more than a great career, more than a good spouse, THIS is what I want for my children. To love the Lord with all their heart, soul, mind, and strength. Because I know circumstances in life will change. My children will go through seasons that are painful. But if they love God BIG, they will meet any challenge and come out on the other side victorious. I think you want this, too. And it’s a scary thing as a parent, to think that our kids might not choose to love Him first. What a responsibility we have as parents raising godly children, nurturing not only their bodies but their souls. Most of us know the Scripture by heart, “Train up a child in the way he should go, and when he is old, he will not depart from it” (Prov. 22:6). When you train up your child in God’s love, it is very likely that they will choose to serve God all the days of their life. Even knowing this, learning how to teach a child about God can be overwhelming. 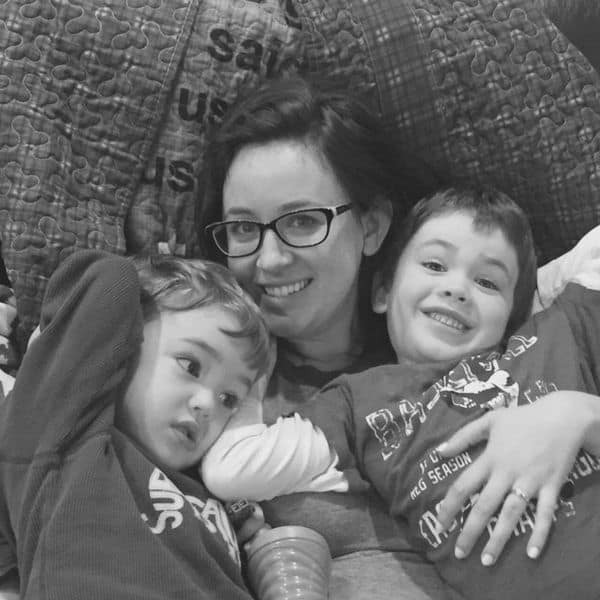 For this reason, I wrote down all the ways I could think of (and enlisted the help of some other Christian mamas – thank you!) for introducing your child to God and helping them cultivate love for Him. This post is the culmination of the best ideas and practices to encourage your child on the journey toward Heaven! 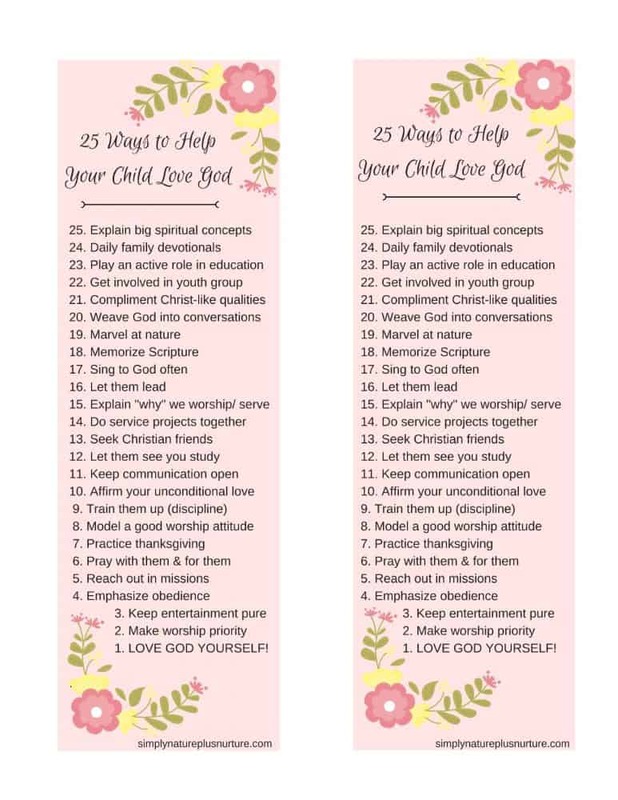 Note: At the end of the post, make sure to grab your FREE “25 Ways to Help Your Child Love God” Bible bookmark printable! 25. Introduce God by explaining big concepts. Don’t shy away from difficult truths. Kids understand more than you think, and are capable of grasping complex truths about God. 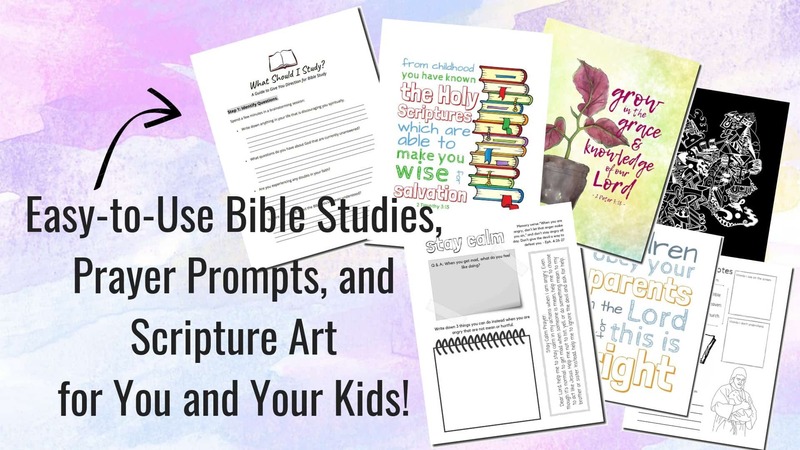 Bible study for kids doesn’t have to be strictly animals and arks. If you are willing to tackle the tough questions about faith, they will see this example and do the same in their lives. If you don’t know the answer to a difficult question, tell your child so and use it as an opportunity to study together. 24. Introduce God in daily family devotionals. If you are wondering how to teach a child about God, one of the best ways is by creating a daily devotional habit. Having a few minutes of dedicated family devotional time every day has become so important in our home. The thought of doing a daily devo was intimidating at first, but we follow a super simple plan that only takes a few minutes and is easy to incorporate. You can read how we structure our devotionals here. Having this time each day sets the tone for the home and places God as the priority in your family. 23. Introduce God through education. Whether you choose to homeschool your kids or send them to public or private school, take an active role in their education. Find out what your kids are learning, and supplement this with teaching from a Biblical perspective. Equip them with tools of faith that they can use when faced with atheistic ideas. If you’re wondering how to teach a child about God in our secular culture, Apologetics Press has some great resources for raising Christian kids. 22. Introduce God through youth group activities. Thankfully, I was naturally interested in youth group activities and wanted to be involved at an early age. But, like most young people, I was most interested in the “fun” activities, like out of town trips and amusement parks. I’m so glad my parents made my involvement in ALL the activities mandatory. They said, “If you want to go to Six Flags, you also have to participate in Bible Bowl.” This involvement, while I wasn’t enthused about it at the time, helped grow in me a deeper love for God. It’s easy to complement our kids on how beautiful, handsome, or talented they are. But how often do you praise them for their spiritual virtues, such as kindness, peacefulness, joy, patience, or faith? Begin introducing your child to God by pointing out the Godly qualities in them. Make a point to say an encouraging word when you see your child demonstrating a Christ-like attitude, such as sharing, compassion, or telling the truth. They will see that these are truly the most beautiful attributes a person can have. Realizing they can reflect God’s nature is an amazing tool for teaching kids about God. 20. Introduce God by talking about Him often. If you don’t already, make a point of introducing your child to God by mentioning Him throughout your day. I was saddened when one of my friends told me that her family never talked about spiritual things, and she felt too awkward to bring them up. We don’t want this atmosphere in our families. Make talking about God second nature and part of your daily routine. Give Him praise when something good happens. Explain how He is helping you through a difficult situation. Let your kids see how God is an integral part of everything in your life. Soon enough, it will become second nature to talk about God in this way – and will start spilling over into all of your relationships. What a great blessing to the world! 19. Introduce God by marveling at nature. One way I love to talk about God with my kids is by admiring the beautiful world He has made. 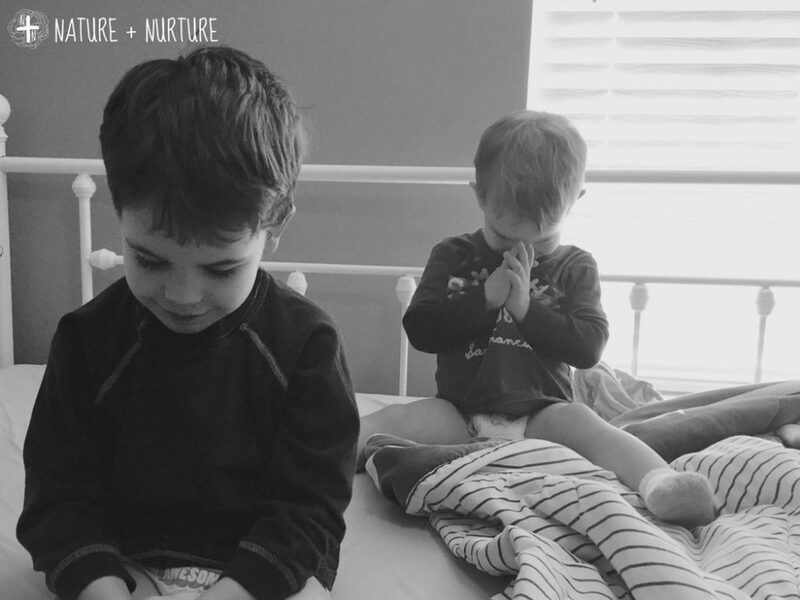 If you’re wondering how to teach toddlers about God (or even babies), this is a great way. Every child loves nature. 18. Introduce God by memorizing scripture. Even if memorization doesn’t come naturally to you, teaching your kids to memorize Scripture is one of the most valuable tools you can equip them with. When faced with difficulties and temptations (as they most definitely will be), having God’s Word in their hearts to direct them is a priceless gift. Try putting the verses to music to help with memorization, or learn songs that are woven with lots of Bible verses. 17. Introduce God by singing praises. Singing is a great way to introduce your child to God and His great love. As you go about your day, sing songs of praise. Let your kids see your joy in the Lord and all He has done for you. 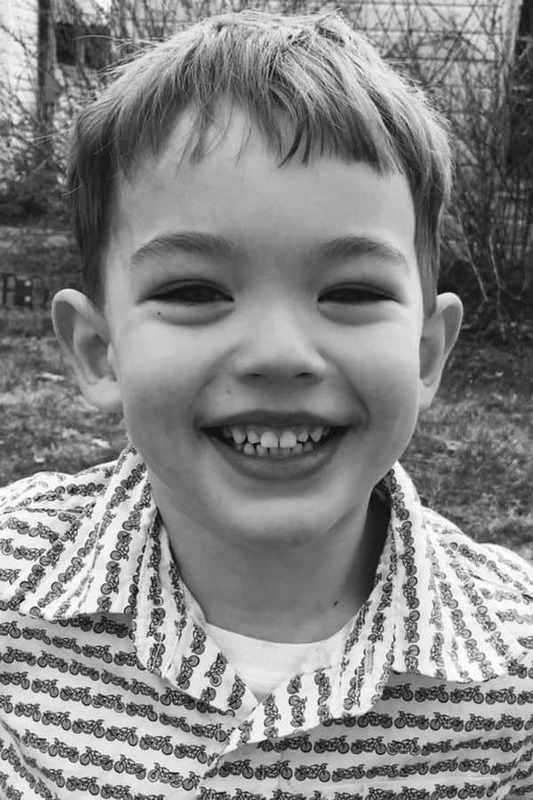 Raising Christian kids happens naturally when they see tangible evidence of your faith. This joy is contagious! 16. Introduce God by letting them lead. During your family devotionals, let your boys lead songs and prayers. Let your girls help you teach a Bible class or make a meal for someone. Look into the Lads to Leaders program to help your kids learn how to be leaders in the church. This will help inspire them for their future walk with God! 15. Introduce God by explaining your lifestyle. When learning how to teach your child about God, explanations of spiritual things are important. Sometimes it’s easy to just assume our children know why we’re doing something spiritual – like going to worship, taking the Lord’s supper, singing, etc. It’s always good to give them the rundown on the reasons we do things so they understand the heart/motivation behind the action. 14. Introduce God by serving together. This is where it gets fun. There are SO MANY acts of service you and your child can do together! Visit the nursing home, volunteer in the community, practice hospitality. Listen to this podcast by The Light Network and brainstorm ideas for things you and your kids can do. Demonstrating service will help them see the heart of Jesus! 13. Introduce God by seeking Christian friends. This isn’t always possible depending on where you live, but try to make an effort for your child to spend time with other Christian young people. The people we spend the most time with, we become the most like. Having close Christian friends will go a long way toward introducing your child to God. 12. Introduce God by studying openly. Do your daily devotions and Bible time in an open area, that they may see you. This is something I really want to implement in my daily life, and it is also vital in teaching a child about salvation. They will be less likely to develop a true, close relationship with the Lord if they never see you modeling it. I remember many times seeing my mom or dad sitting and studying their Bibles. Your kids will know how serious you are about spending time with the Lord, and will want to create that time for themselves to be with God. Bible study for kids can begin as soon as they can read! You might be surprised to find them reading their kid’s study bible while you read your grown-up bible. 11. Introduce God by keeping communication open. Lay in bed with them and discuss every aspect of life – their biggest fears, hopes, and dreams. When your child feels comfortable sharing the details of their life with you, they will also feel comfortable discussing their spiritual needs and questions. Keep an open-door policy with them, and let them know that you are always there to talk. If you want to know how to teach your child about God, having an open-door policy of communication is a huge step in the right direction. 10. Introduce God by affirming your unconditional love. If you want to know how to teach kids about God, LOVE THEM FIRST. Parental love is the best way little minds can comprehend the love of God. When you show consistent and unconditional love for them, it will help them understand our Lord in a huge way! Along with saying, “I love you,” show it by spending time playing with them and listening to them. 9. Introduce God by training them up/discipline. If you truly want your child to love God, you must discipline them. Your child needs boundaries and to know right from wrong. Without this, they will have no concept of who God really is and the fact that there are consequences for sin. 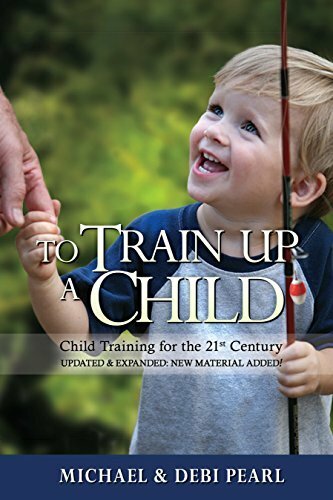 One great resource for this is the book “To Train Up A Child” by Michael and Debi Pearl. 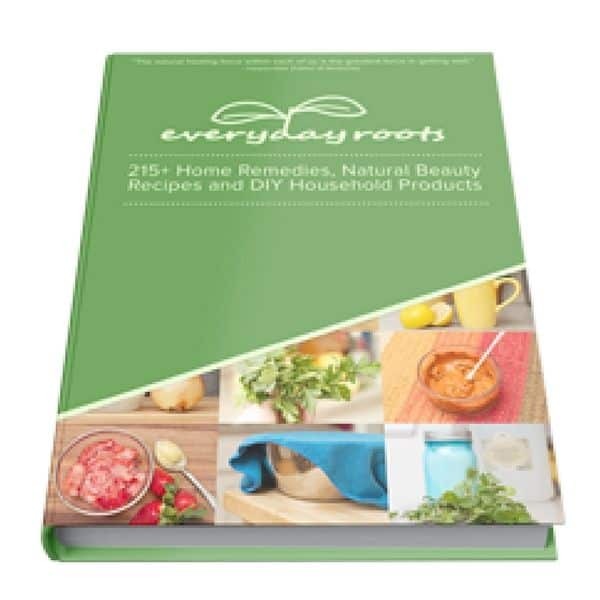 While I don’t agree with everything in the book, it gives a good basis for the understanding of training your children and practical tips for implementation. 8. Introduce God through your attitude about bible class/worship. 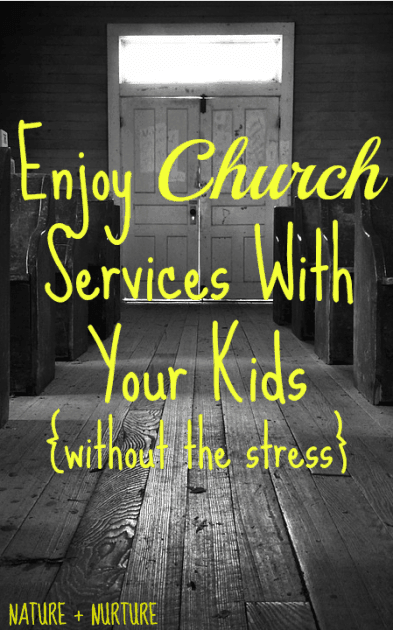 Exhibiting joy in worship and service is key for raising godly children. This is one of the ideas I got from another Christian mother, and I think it’s so important. When it’s time for worship or Bible class, always say: “We GET to go to worship today” not “We HAVE to go to worship today.” The same attitude is also important when doing acts of service for others. Show them what a privilege it is to be a Christian and to have the opportunity to serve God! 7. Introduce God by practicing thanksgiving. During our family devotionals, we like to do a time called “our favorite things” in which we each share one of our blessings from the day. This teaches the heart of thanksgiving and to always be on the lookout for God’s blessings. Just make a habit of talking about your physical and spiritual blessings, which demonstrates the importance of gratitude to your children. 6. Introduce God through constant prayer. Here’s another gem from a sister in Christ: Pray FOR your children and pray WITH your children. Be constantly in prayer for their relationship with Jesus to grow stronger and deeper. Pray for them openly by name and for specific struggles they are dealing with. Teach your children the art and the beautiful relationship of prayer through your example. 5. Introduce God by reaching out. Talk about missionaries and why they do what they do. Send them a nice card or care package. Even better, take your child on missions trips and let them serve others who are less privileged! Also, practice being a missionary at home and invite friends to worship with you. If you’re wondering how to teach your child about God, service is a true reflection of His heart. 4. Introduce God by emphasizing obedience. To God, true love means obedience. John 14:15 states, “If you love me, you will keep my commandments.” Explain to your kids that you expect them to obey you because they love you. In the same way, when we really love God, we will do what He says. Comparing the spiritual family to the physical family will help your kids gain an understanding of what a relationship with God really means. Teaching a child about salvation involves a great deal of obedience. 3. Introduce God by keeping entertainment pure. When we let God in to every part of our lives, that also means our entertainment. This is an area I am admittedly weak in. It’s important to know what your kids are watching and the values, language, and lifestyles that are promoted. The things your children watch have an impact on their minds and hearts! The Veggie Tales series and Digger Doug are great for little ones to learn spiritual concepts through entertainment. 2. Introduce God by prioritizing worship. If we attend concerts, games, or other events instead of worship/Bible study (even occasionally), what are we teaching our kids? 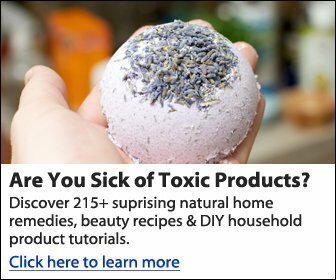 I hesitate to add this one, because I do not want to sound judgmental. But we are talking about genuinely wanting to show our kids that God comes first in life. How can we do this if we allow other activities to take priority over worshipping our King? 1. Introduce God by loving Him yourself. This is so simple, yet so profound. We can’t fool our kids! They can tell what is really important to us. 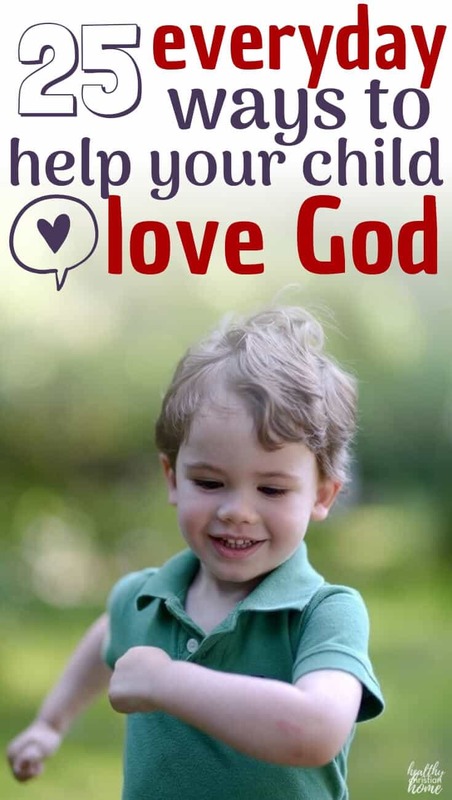 So if you truly want your kids to love the Lord, cultivate your own love for Him! This will make the biggest impact toward your children’s love for God. This love won’t be able to be contained – it will spill out into every part of your life and all over your kids! I count myself extremely blessed to be the daughter of two parents who love God with all their heart, soul, mind, and strength. I owe them everything! Discuss these ideas with your spouse and create a game plan for putting God first in your family. Talk to your kids about how you want to start focusing on God more in your family, and why it’s important. Request prayers from Christian friends and family to bless your efforts in raising godly children. Most importantly, pray every day for God to guide you in raising Christian kids that love Him deeply. Now, don’t forget your FREE PRINTABLE Bible bookmark, which includes everything on this list. Keep it in your Bible to remind you how to teach your child to love God. The printable includes two bookmarks, so you can keep one in your journal too or share one with a friend! Spread the message of loving our Lord! Tip: For best results, print the bookmark on card stock OR laminate / cover with clear contact paper. I hope you’ve gained some fresh ideas on teaching kids about God. 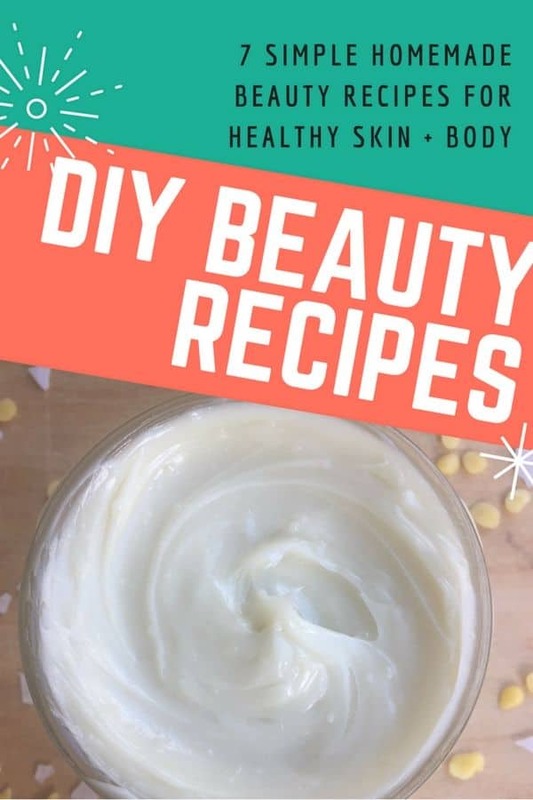 Tell me: do you have any tips that need to be added to this list? What helps your children?